David Patterson, professor of animal sciences and state beef Extension specialist, was honored with the 2018 Animal Management Award from the American Society of Animal Science. 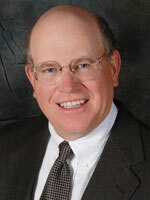 Patterson joined the Division of Animal Sciences at the University of Missouri in 1996 after serving as State Extension Beef Specialist in Reproductive Physiology at the University of Kentucky. Dr. Patterson’s extension program is directed toward the development of a progressive state-wide educational program in cow-calf production with emphasis on reproduction and management of beef heifers and cows. Patterson led the development of Missouri’s Show-Me-Select Replacement Heifer Program, which is the first comprehensive, state-wide, on farm beef heifer development and marketing program in the U.S. and a new Quality Beef by the Numbers program. Patterson’s research efforts have gained wide industry acceptance, and resulted in new strategies to synchronize estrous cycles of postpartum beef cows and replacement beef heifers. He has previously received ASAS Extension and Animal Industry Service Awards and recently received the NAAB Research Award. The ASAS Animal Management Award recognizes an individual that has contributed to excellent research in the biological or production management of livestock. This award is sponsored by Boehringer-Ingelheim.